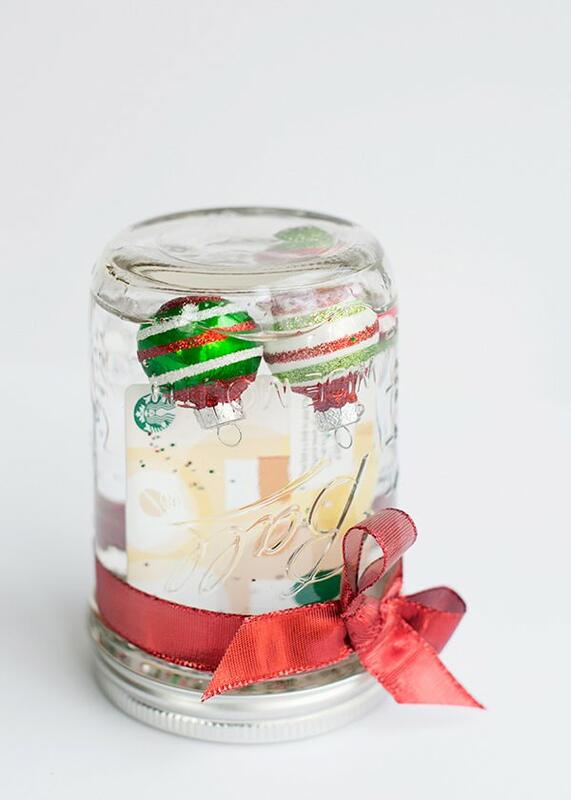 I made this snow globe project to jazz up a gift card that I was giving to one of her teachers. As much as I love gifting (and getting) a gift card, opening one can be a little anti-climatic. You stick one in an envelope and call it a day. And since it was for her teacher I wanted to make it extra special. 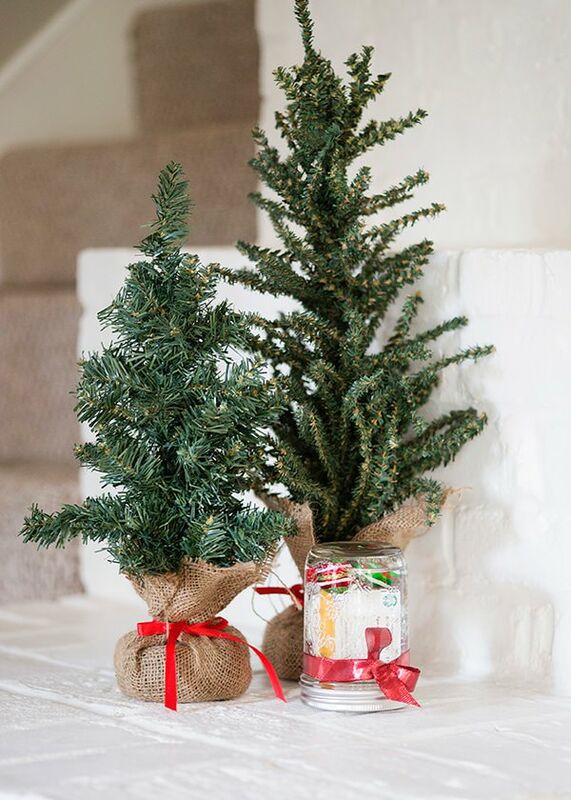 This is really easy to do (the hardest part is finding cute small decorations) and takes a couple of minutes. You can set up an assembly line and get a bunch done all in one shot. 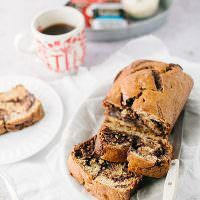 The recipient oohs and aahs when you hand one of these over to them. Taking the time to make a gift card look beautiful shows the person how much you care about them. So the #1 question I get is…. does the water ruin the gift card? In my experience, it does not. I have done this many, many, times and the card always has remained intact. Obviously, only use plastic cards, no paper. The cashier can always manually type in the numbers if it didn’t scan. To be safe, you could snap a picture on your phone to preserve the numbers, but I don’t think that is necessary. And this is just for presentation, I wouldn’t leave the cards in the water for months, maybe just a few days. You could also buy a baseball card holder from a hobby shop. It will keep the card dry. I left this one in for a week. No problems. #2. My jar leaks. Help! 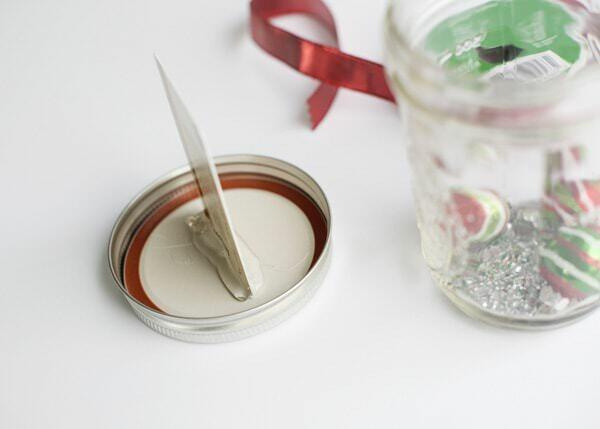 Make sure to use a mason jar with a screw lid. 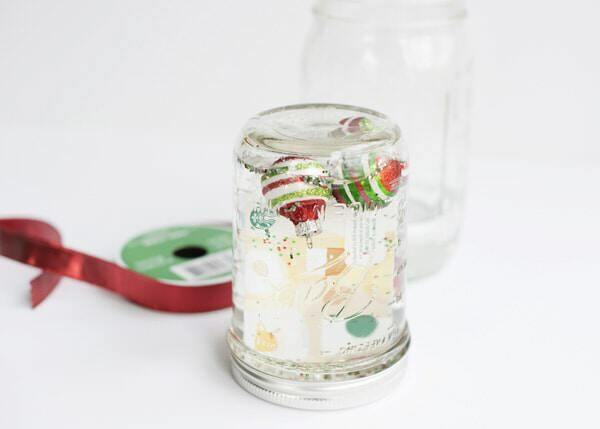 It would be great to recycle a jam or pickle jar, but it most likely won’t have a tight enough seal. A mason jar is designed to hold liquids, so it is the safest bet. #3 My card won’t stand up, it keeps floating away. You need to use hot glue. I discovered the beauty of a hot glue gun when I was a teacher. We could adhere things to the concrete walls and it would stay put and at the end of the year we would gently peel it off the wall without doing any damage. 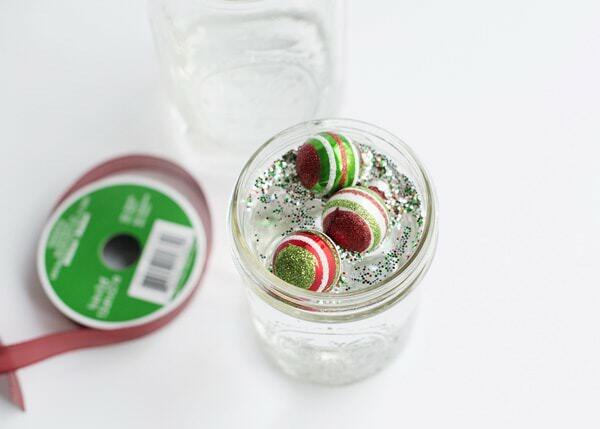 Put glitter and decorations in the bottom of a mason jar. 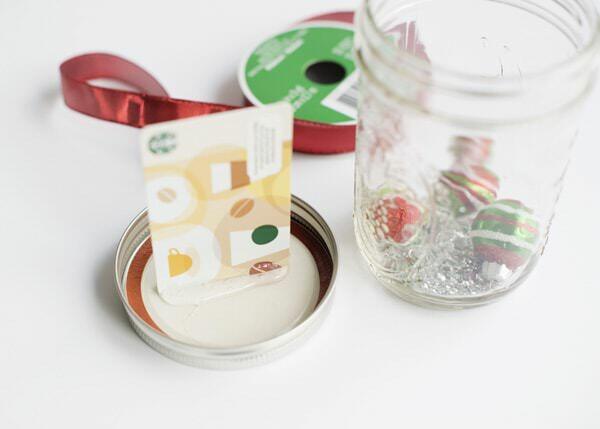 Hot glue a gift card standing up in the lid. I like to put a generous amount on the back to ensure that it stands up. Tightly screw the lid onto the jar. Turn upside down. 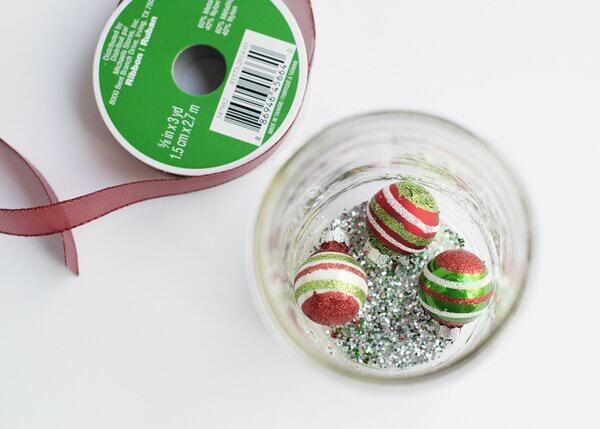 Tie a ribbon around the bottom. It’s as easy as that! 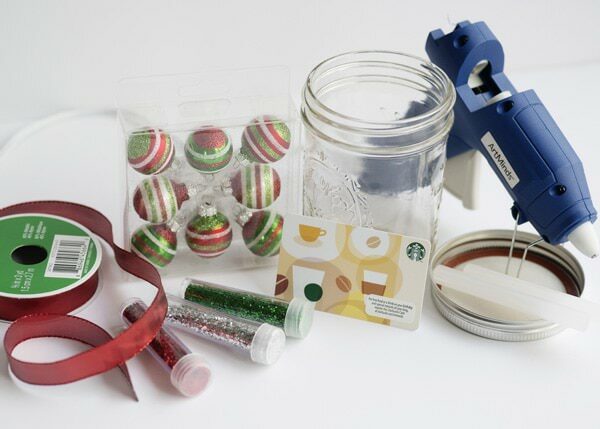 We’re giving a few gift cards this year and have small plastic ornaments we’re purging. Might have to try this! Bree, this is incredibly, astoundingly clever!! I love it!! Thanks Jessie! These were so fun to make. They turn it over and open the jar. Just curious why to glue the gift card at all….why not have it floating? Because it doesn’t look like a snow globe? 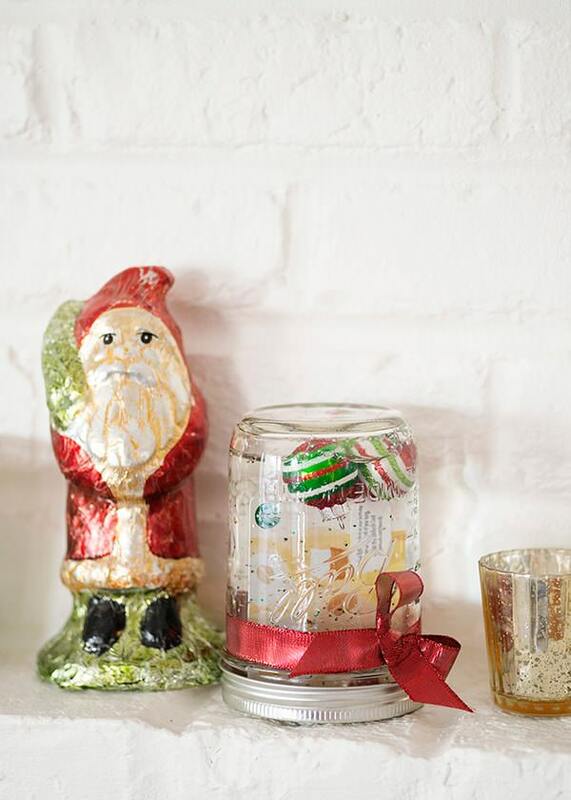 Pingback: 23 DIY Snow Globes - Make Your Own Mini Winter Wonderland! Sara-I was thinking of painting the inside of a jar with glitter glue..to give the effect of a snow globe…just no water…have you tired this…? This gift card snow globe is so pretty nice and incredible! It just catch my attention when I saw it at the first sight.Thank you for sharing this DIY project.